What are the causes of a coma? What tests help diagnose coma? What is the prognosis for coma? Coma is a state of decreased consciousness whereby a patient cannot react with the surrounding environment. Outside physical or auditory stimulation does not waken the person. Patients may have different levels of decreased consciousness and responsiveness depending upon how much or how little of the brain is functioning. Patients in a coma do not voluntarily interact with their environment. The inability to waken differentiates coma from sleep. Those in a lighter coma may offer some response to a verbal or painful stimulus, to the point they may even seem wake, yet meet the criteria of coma because they do not respond to their environment by initiating voluntary actions. The Glasgow Coma Scale is used as part of the initial evaluation of a patient but does not assist in making the diagnosis as to the cause of coma. Since it "scores" the level of coma, the Glasgow Coma Scale can be used as a standard method for any healthcare professional, from EMT, paramedic, nurse, or neurosurgeon, to assess change in the patient's mental status over time. The best use of the Glasgow Coma Scale is to allow healthcare professionals of different clinical skills and training to consistently assess a patient over longer periods of time in order to determine whether the patient is improving, deteriorating, or remaining the same. In the initial care of a comatose patient, chronologically, there may be first responders, emergency medical technicians (EMTs), paramedics, nurses, emergency physicians, neurologists, and neurosurgeons, all evaluating the same patient in different places at different times. The Glasgow Coma Scale allows a standard assessment that can be shared. A fully awake patient has a Glasgow Coma Score of 15. A person who is dead has a Glasgow Coma Scale of 3 (there is no lower score). Coma occurs when the brain does not have enough nutrients. For example, if inadequate amounts of oxygen or blood sugar (glucose) are delivered to it, the brain can "turn off." Trauma, bleeding, or swelling of the brain can affect blood delivery, various poisons can also directly injure the brain, and brain inflammation and infection can also alter mental status and lead to coma. To understand unconsciousness, it is important to understand why a person is awake. The brain is a large organ with many parts. There are two "sides" to the brain, the right and left cerebral hemispheres. They each contain frontal, parietal, temporal, and occipital lobes where movement, sensation, speech, and thought are processed. The cerebellum sits beneath the cerebral hemispheres and controls balance and coordination. The brain stem processes automatic, unconscious controls of the body including heart rate, blood pressure, and breathing. The reticular activating system (RAS) is located within the brain stem and is the important "on/off" switch for consciousness and sleep. To be awake, the reticular activating system (RAS) must be functioning, as well as at least one cerebral hemisphere. If a person loses consciousness, either the RAS has stopped working, or both cerebral hemispheres have shut down. Brain stem stroke: cells in that area of the brain stem have lost their blood supply and the oxygen, and glucose that it delivers. This shuts off the reticular activating system. This event is either ischemic (blood supply is lost), or hemorrhagic (bleeding occurs and damages the reticular activating system). A pre-death event: increased swelling in the brain pushes down on the brain stem and causes it to fail. For both cerebral hemispheres to fail at once, there must be loss of function of the whole brain. This may be due to lack of blood flow, for example when a rhythm disturbance of the heart such as ventricular fibrillation causes the heart to stop beating. Severely decreased levels of oxygen in the blood due to lung failure can cause brain damage. Poisoning or inflammation of the brain can cause coma with loss of function of both cerebral hemispheres. Trauma is another potential cause of coma. Minor head injuries can cause brief loss of consciousness, but the brain is able to turn itself back on. Similarly, patients with seizures become unconscious - but waken relatively quickly as the brain recovers from the seizure's "electrical storm." Those people with significant trauma or prolonged seizures may not wake quickly and may remain in coma for a longer period of time. The skull is a rigid box that protects the brain. 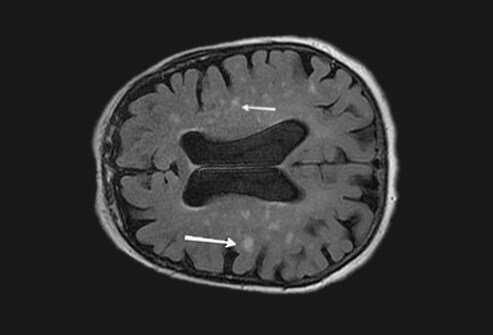 Unfortunately, if the brain is injured and begins to swell (edema), there is no space to accommodate additional fluid. As a result, increased pressure within the brain compresses the brain tissue against the skull bones and may cause a decreased level of consciousness. If the intracranial pressure continues to increase without being treated, the swelling will push the brain downward toward the opening at the base of the skull where the brain stem is located. This crisis causes the brain to herniate and turns off the reticular activating system. This can affect the ability of the brain to stimulate breathing and control blood pressure, leading to death. The effect of trauma on the brain is not predictable. Relatively minor force to the skull and brain can be catastrophic. There does not have to be obvious injury visualized with computerized tomography (CT scan) imaging of the brain to cause significant damage. In fact, when shear injury occurs, the scan may be normal, even if the patient is in coma. Shear injury is microscopic injury to individual nerve connections within the brain without obvious swelling or bleeding. Head trauma can cause different types of brain injury. The injury can occur to the brain tissue itself or it may cause bleeding to occur in the space between the brain and the skull, or in the ventricles deep within the brain tissue. Computerized tomography (CT) of the head may be able to identify most bleeding from trauma. Bleeding within the brain (intracerebral hemorrhage) may be small, but also may cause associated swelling that may cause damage to the brain and result in coma. Blood is in the brain tissue is irritating and leads to inflammation with swelling. Many patients with small amounts of bleeding have the potential to recover very well. 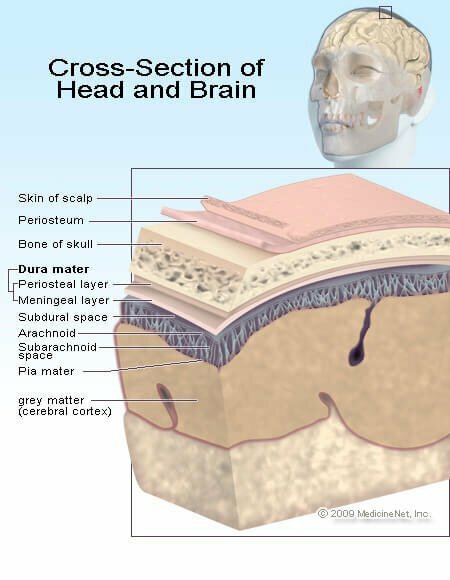 The lining of the brain has multiple layers, and these layers can act as potential spaces where bleeding can occur. Epidural hematomas are located between the skull and the tissue that covers the brain (dura mater). These hematomas that are localized collections of loose blood are often associated with skull fractures and tears in arteries located near the fracture site. Subdural hematomas are located beneath the dura mater and occur when the bridging veins from the skull to the brain are torn. As the blood continues to accumulate, pressure builds within the skull and the brain is shifted away from the site of bleeding, compressing the brain against the skull. With both hemispheres of the brain compromised, loss of consciousness and coma may result. The more swelling, the higher the intracranial pressure, the deeper the coma. Each brain is different and in older patients whose brains have atrophied and become smaller with age, there is more room in the skull to accommodate a small amount of swelling or bleeding. Each bleeding situation is different and each patient is assessed individually. However, being unconscious because of brain bleeding and/or swelling is associated with a poorer outcome than unconsciousness from drug toxicity, or seizures, etc. Subarachnoid hemorrhage (bleeding beneath the arachnoid layer) occurs in the layer of the brain lining where cerebrospinal fluid (CSF) is located. CSF is produced in the ventricles that are located deep in the brain and is the nutrient fluid that bathes the brain and spinal cord. Bleeding here may cause few symptoms or it may cause significant problems like coma or stroke. Bleeding is often associated with a significant headache and neck stiffness. Hypertension (high blood pressure): when blood pressure is too high, and not controlled, blood vessels in the brain may not be able to tolerate the high pressure and may leak blood into the brain, subarachnoid space, or both. Cerebral aneurysm, or an area in a blood vessel that is congenitally weak and ruptures. Some people are born with blood vessels that have a weak wall that can gradually balloon, like a weak spot in an inner tube. At some time in their life, or perhaps never, the weak spot gives way and blood is spilled into the subarachnoid space. Arteriovenous malformations (AVMs) are abnormal blood vessels where arteries connect directly to veins and cause potential weak spots that can leak blood. Normally, arteries branch into smaller and smaller vessels until they form the smallest set of vessels called capillaries. Capillaries form meshes where chemicals, nutrients, oxygen and carbon dioxide are exchanged from the blood stream to individual cells. The capillaries then merge to form larger blood vessels, the veins. In AVMs, this relationship of artery to capillary to vein is abnormal and is at risk for bleeding. Tumors, either benign or malignant, can be very vascular (composed of many arteries, veins, and capillaries) and have significant bleeding potential. Just as blood takes up space within the skull and can cause coma, so may brain tumors. Brain tumors may be associated with localized swelling edema, inflammation and bleeding. Seizures, stroke-like symptoms, decreased mental status, and change in behavior may be the initial symptom. Most often, the symptoms have a gradual onset, but coma can progress quickly if bleeding or swelling occur. While trauma can make the brain swell, other types of injury or insult can cause brain swelling (cerebral edema). Whether the insult is lack of oxygen or abnormal electrolytes, it may ultimately result in edema of the brain tissue. As with bleeding, the skull limits the space available for brain swelling to occur. As a result, the brain tissue is damaged and its function decreases the more it is compressed against the bones of the skull. Infection and inflammation, such as encephalitis and meningitis of the brain and surrounding tissues may be associated with coma. Encephalitis is an infection of the brain tissue itself, while meningitis is an infection of the linings surrounding the brain. Infections may also be associated with abscesses or collections of pus within the brain. Infections may alter brain function and cause coma even without any swelling that might be detected on CT scan. The brain requires oxygen to function, and without it, the brain shuts down. There is a very short time to return oxygen supply back to brain tissue before there is permanent damage. Most research suggests that the time window is only four to six minutes. The body provides oxygen to the brain through the lungs. The lungs extract oxygen from the air, hemoglobin in red blood cells pick up the oxygen, and the heart pumps blood through normal blood vessels to cells in the brain and the rest of the body. If any part of the system fails, the oxygen supply to the brain can be interrupted. Lungs can also fail, causing hypoxemia; examples include pneumonia, emphysema, or asthma. In each case, inflammation in the lung tubes (bronchi or bronchioles) or lung tissue makes it difficult for oxygen to get into the lungs and transferred into the bloodstream. Hemoglobin also takes carbon dioxide, the waste product of metabolism, and returns it to the lungs to be exhaled. Elevated levels of carbon dioxide in the blood also can affect brain function to cause coma. Anemia, or low red blood cell count, can cause the brain to fail directly, or more likely it causes other organs like the heart to fail. The heart, like any other muscle, requires oxygen to function. Anemia can occur chronically or it can be due to an acute blood loss (examples include trauma or bleeding from the stomach). If the blood loss is slow, the body is better able to adapt and tolerate low hemoglobin levels; if the bleeding occurs quickly, the body may be unable to compensate, the result being inadequate oxygen supply to tissues including the brain. All cells in the body need glucose and oxygen to perform their functions by aerobic (oxygen-requiring) metabolism. While other parts of the body can continue for short periods of time without these two nutrients (anaerobically), the brain cannot. Without glucose, brain function stops almost immediately. Hypoglycemia (low blood sugar) most often occurs in people with diabetes who have given themselves too much insulin or have not taken in enough food. In normal physiology, the pancreas produces insulin and balances the amount it produces with the amount of glucose in the bloodstream. People with diabetes need to inject insulin into their body or take medication to stimulate the pancreas to make insulin. If too much insulin is injected, glucose levels in the bloodstream decrease, and not enough glucose is delivered for the brain cells to function. While tight control of blood glucose levels is important to prevent the long-term complications of diabetes, including heart disease, peripheral vascular disease, blindness, and kidney failure; close monitoring is also required to prevent hypoglycemic coma. People who do not have diabetes also may have low blood sugar because of a situation where too much insulin is abnormally secreted by the pancreas when it is not needed. There are two sources of poisons that can affect the brain, those that we take into the body (through ingestion or inhaling), and those that the body generates and cannot dispose of in some way. The liver performs many functions including glucose and protein manufacturing. It also breaks down and metabolizes chemicals in the body. When the liver fails, different chemicals like ammonia can accumulate and are potentially toxic to the brain cell function. Hepatic encephalopathy or hepatic coma occurs when the liver fails because of an acute or chronic injury. The most common cause is cirrhosis due to chronic alcohol abuse. The kidneys filter blood to rid the body of waste products. When the kidneys fail, a variety of waste products can accumulate in the bloodstream and cause direct or indirect damage to the brain. Direct causes include uremia, where blood urea levels rise and are directly toxic to brain cells. Common causes of kidney failure include poorly controlled diabetes or poorly controlled high blood pressure. 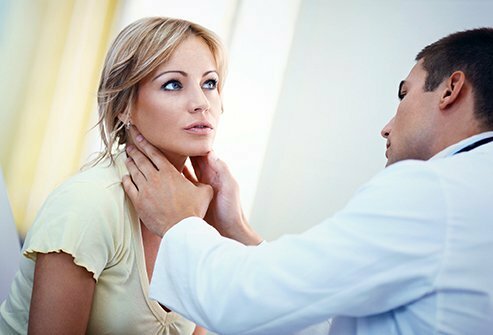 The thyroid acts as the thermostat for the body, producing thyroid hormone to regulate the speed at which the body functions. If thyroid hormone levels gradually drop too low over a period of time myxedema coma can occur because of the profound hypothyroidism. Ingestions can cause the brain to slow down, speed up or alter its perception of the world. Some ingestions may cause coma in an indirect way. Acetaminophen overdose has a delayed effect. It is directly toxic to the liver, but takes a few days before liver failure occurs, leading to hepatic coma and the potential of death. Alcohol is probably the most common cause of ingested poison or toxin, leading to altered mental status and coma. In acute alcohol intoxication, the brain is directly poisoned. Blood alcohol levels fall when the alcohol is metabolized by the liver, but the depth of intoxication can be so great it shuts off many of the involuntary brain activities that control breathing and maintain muscle function. Opiates like pain pills or heroin and other sedatives like sleeping pills can cause similar slowing of brain function to the point that the person stops breathing. Cocaine and amphetamines are the common "uppers" or brain stimulants. These brain stimulants cause an adrenaline-like body response that causes a rise in blood pressure and heart rate, increasing the risk of heart attack, heart rhythm disturbances, or bleeding in the brain. Are the ABCs intact? Is the patient's airway open? Are they breathing? Do they have good circulation (a heartbeat and blood pressure)? Is the patient hypoglycemic? The blood sugar can be checked quickly by a quick fingerstick bedside test and if it is low, glucose can be administered in the mouth or intravenously. Patients with diabetes also may have a Glucagon injection kit at home that can be administered to rescue them from a diabetic coma. Did the patient ingest a narcotic? Naloxone (Narcan) may be given intravenously to reverse an overdose situation. History remains the important key to the diagnosis. Since the patient cannot be the source of information, questions are asked of family, friends, bystanders, and rescue personnel. For example, imagine a person sitting at a bar who falls down, hits his head and is in a coma. While it might be easy to jump to the conclusion that he was intoxicated, fell, and bled in his brain, other scenarios need to be considered. Did he have a heart attack, did he suffer a stroke, or was this perhaps a diabetic medication reaction that resulted in low blood sugar? Once the patient has been stabilized with acceptable vital signs, a more complete physical examination will likely include a complete neurologic assessment. Examination of the eyes including the pupils and the interior of the eye where blood vessels and nerves enter the globe (fundi), facial movements to assess cranial nerves including gag reflex, extremity movement and reaction to stimulation, tendon reflexes and other testing of spinal cord function. There is special attention paid to symmetry in the neurology exam, since lack of movement or response on one side of the body may be caused by bleeding inside the skull or by stroke. Pupil size and response to light are commonly assessed. If a pupil is widely dilated, it is either because of direct trauma to the eye or more ominously, it is a pre-death event where the brain is herniating because of increased intracranial pressure. Unequal pupil size (anisocoria) is a common occurrence as a normal variant in 10% of the population. A dilated pupil in a fully awake patient is not usually a sign of raised pressure within the brain. General examination surveys the skin for cuts, scrapes, wounds, etc. If trauma is suspected, the neck may be immobilized because people with head injury often have associated neck fractures. The Glasgow Coma Scale score will be documented; the deeper the coma, the lower the score. Please appreciate that a person with a "normal" Glasgow Coma Scale of 15 may still have altered mental status. Repeated neurologic assessment is key to monitoring the status of the patient and determining if the coma is improving, worsening or remaining stable. The tests required to evaluate a coma will depend upon the suspected cause. Many times, the cause involves many factors and the sequence of events will require serious detective work. Blood tests, electrocardiogram and CT scan of the head are most often obtained. Further test options depend upon the patient's situation. Depending upon the diagnosis, the evaluation may be no more than assessing blood sugar, treating hypoglycemia, and having complete resolution of the situation. On the other hand, the cause of coma may be a catastrophic brain hemorrhage without hope for significant recovery. The outlook very much depends on the cause of the coma and the ability to treat the particular situation. Huff JS, Martin ML. Altered mental status and coma. In: Wolfson AB, Hendey GW, Ling LJ, et al, eds. Harwood-Nuss' Clinical Practice of Emergency Medicine. 5th ed. Philadelphia, Pa: Lippincott Williams & Wilkins; 2009:chap 14. Marx J, Hockenberger, R, Walls R. Rosen’s Emergency Medicine: Concepts and Clinical Practice. 8th edition. Saunders. 2013. Tintinalli JE, et al. Tintinalli's Emergency Medicine: A Comprehensive Study Guide. 7th edition McGraw hill Professional. 2010. Willoughby RE Jr, Tieves KS, Hoffman GM, Ghanayem NS, Amlie-Lefond CM, Schwabe MJ, Chusid MJ, Rupprecht CE. Survival after treatment of rabies with induction of coma. N Engl J Med. 2005 Jun 16;352(24):2508-14. What caused your coma, or that of someone you know? How was your loved one diagnosed with a coma? Please share your experience with coma.